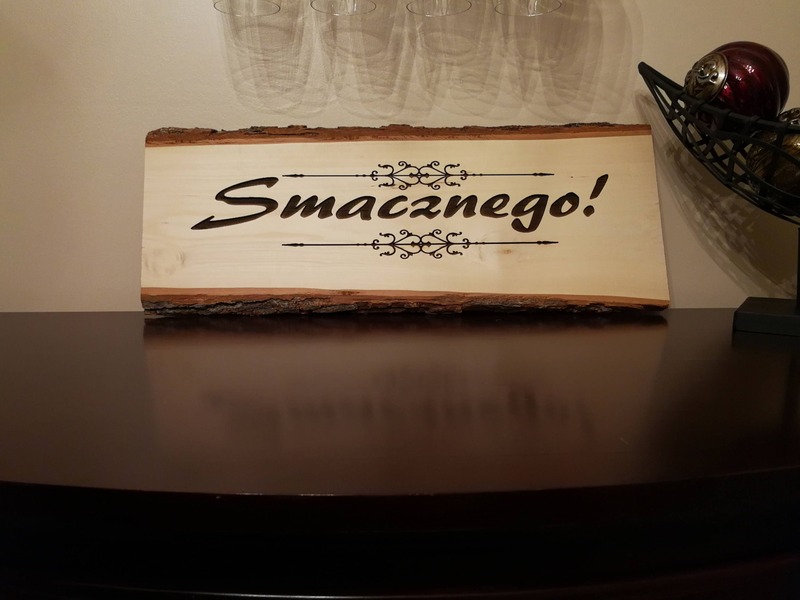 "Smacznego" Sign made from 1/2" thick wood plank. 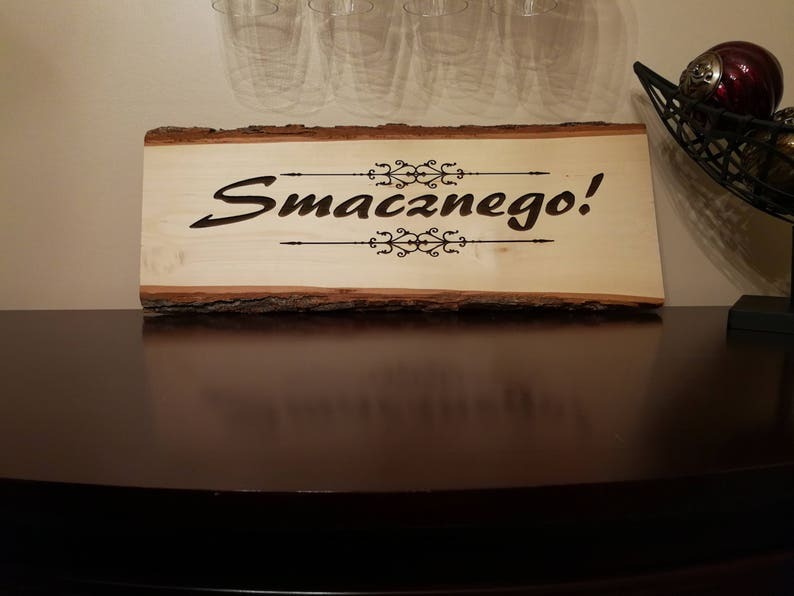 Dimensions 24" long 7 to 10" wide. No finish bare wood for interior only.